I wasn't able to attend this terrific meeting of minds last week about learning science, education R&D, and the interconnections with new technologies in education and big data learning analytics, unfortunately. However, Katrina Stevens, one of the organizers, still suggested I contribute a piece about learning engineering, so (with her permission) here's the pre-reading piece I sent in. The full range of pre-readings is fascinating - I hope the DoE releases them in final form, along with notes from what, by all accounts, was a fascinating day with terrific people! Technology is changing the way almost all industries work beyond recognition, and changing the nature of what humans need to be skilled at along with that. This has profound implications for our education and training systems – we will need to be much more systematic and efficient to help many more learners succeed in the long haul. To do this means more systematic application of learning science and the evidence about learning at scale and from individuals, within the always-present constraints of regulation, economics, usability, and more. This means we need learning engineering thinking – practical use of science at scale – and more learning engineers prepared to help us. The types of decisions and tasks we all need to pick up are changing rapidly. We are shifting from using motor skills to add value to the need for complex cognitive skills for almost all work. Auto repair, farming, construction, manufacturing – all now have complex cognitive components workers have to master to stay in their game. Technology itself is changing rapidly, and so too the accompanying necessary skills. Our learning environments have to evolve continuously. A stonemason in the 12th century could confidently pass his skills (physical and cognitive) to his children and grandchildren, knowing the cathedral under construction would be using the same techniques for multiple lifetimes of work. Now, robotic manufacturing systems are ever-shifting relationships between tools, people, tasks, and outcomes, and skills must rapidly evolve to keep up. More tasks and decisions can be moved to where the expertise is and where costs are lower. This means you cannot guarantee a job will be available in your locale because it can only be done “on the ground” in your locale – you need to be ready to pick up new skills. We are living longer, just as work is changing faster. Few of us can afford to retire after our initial skill set becomes obsolete. We need to upgrade our skills, and, more likely, reinvent ourselves every decade or less in this new world of rapidly changing execution of tasks. All this means our education and training systems need to be different than they have been. They were never designed to maximize the yield of trained minds (from whatever starting point) making complex cognitive decisions in rapidly evolving areas they are passionate about. There are a wide range of inefficiencies that need to be addressed. 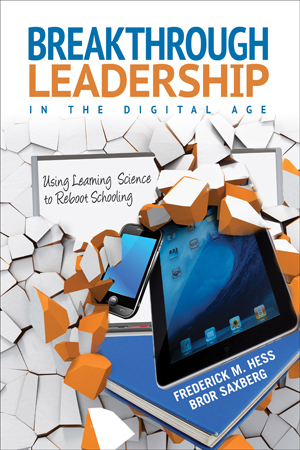 In addition, learning environments typically have assumed that failure is the learner’s fault. If you are not able to absorb “what you need” from the perorations of an “eggsbert,” then you might not be cut out for the work you'd love to do. Attrition ensues. Learners then stumble into their first work with a fraction of what they need to be good at their current tasks. A large number make mistakes and feel badly about their career choice. Many drop away assuming it is their fault, their inability to learn, that meant “they just weren't right” for that career. A fraction either accidentally discover good coaches and get the right feedback to master the rest of what they need, or on their own, grit it out, discover (and even create) what is necessary for mastery, and happen not to be the ones blown up by situations thrown at them outside their newly-developing control. What are the implications for our learning/training environments? They need to be targeted on what the best practitioners decide and do now, not decades ago, and where those careers are going. This means systematic and repeated identification and unpacking of what top performers (not just popular people) decide and do on tasks. They need to be designed to match how human learning actually works, not how we wish learning worked. For millennia, medical treatments based on how we wished/hoped human bodies worked helped a bit (and sometimes not). However, we had rapid improvements in health after a multi-decade exploration of how bodies actually work – and fail – and the use of that information to relentlessly (re)design treatment, sometimes in the face of early popular apprehension and even opposition. We need them to be designed as sequential and personalized paths on a journey to expertise over many years. As with health care, we need to be better at understanding the longitudinal implications of activities and treatments as we all live longer, as well as personal variations in response to activities, not just population variations as we've done historically. The evidence gathered within learning environments has to improve in both quality and density. Historically, when it didn't matter that a low fraction of learners reached mastery of complex cognitive content, the evaluation of how learners were doing didn't matter much either: whoever was left, were the ones meant to be left. Now that high fractions of mastery matter economically and socially, we need accurate and frequent indications of where each learner is, where the issues are, so we can intervene sooner, before learners are far off their path to mastery. This means our evidence gathering (likely less and less about assessments, more and more about other data collected about practice, feedback, and interactions) has to become more frequent, and more accurately tied to what experts decide and do (i.e., valid and reliable). Learning environments and the evidence from them need to be more systematically designed for long-term success. We should be systematically and repeatedly connecting, with evidence, what top performers are deciding and doing backwards, to down-payments in college, high-school, and before. There has to be awareness, too, that early learning has to let learners “skate where the puck will be,” hard as that is to predict – it should be preparing students based on promising research about details of expert decisions and tasks over the next decade and more, not based on where careers are now. We also should not forget Dana Gioia's formulation of the purpose of education: to build “productive citizens for a free society.” (Gioa, D., “Pleasure, Beauty, and Wonder: The Role of Arts in Liberal Education”, in Beyond the Basics: Achieving a Liberal Education for All Children, Chester Finn and Diane Ravich, eds, 2007.) Much of the above relates to redesigning learning to increase the odds that a learner will be productive in a career of their choosing. We also need to think deeply about the decisions and tasks of people as citizens: how will they be able to make well-founded decisions on cryptographic privacy vs security, gene-line modifications for health vs. family advantage, complex evaluations of leaders around their mastery of economics, politics, the lessons of history? We will disagree deeply on all this at the end of the day, of course, as all democracies should – but we should be disagreeing more around well-grounded arguments, not pure personality points. We have much (not enough) learning science available to help shape this, with more on the way. We have many caring people engaged in working with learners across decades. We do invest substantial time and effort across decades, now, more than ever in our history, in building skills (albeit inefficiently). We are beginning to see technology entering the fray, providing new capabilities and data for learning. We need learning engineers. By this phrase (first used, as far as I am aware, in the 1960's by Herbert Simon, the computer-scientist and Nobel-prize winning economist), we mean people who are deliberately trained and focused on designing and systematically improving learning environments at scale in measurable ways. They make use of current and new science about how learning and motivation work, and they do collect careful measurements, but the focus is on improving success and impact at scale, within constraints (economic, regulatory, practical), not research per se. If we are designing a new chemical factory, we very likely don't want chemists designing that plant: they're neither experienced nor interested in regulatory issues, safety issues, economic issues, and the detailed mix of mechanical and other skills needed. That's why there's a demand for a large group of such folks: approximately 30 thousand chemical engineers (rounding to the nearest thousand or so) working in the US. There are approximately 0 thousand true learning engineers working in the US, rounding to the nearest thousand (trained and following learning science, but working at scale within real-world constraints to design, build, and measurably iterate based on outcomes). The lack of folks like this and their use will hold back the entire enterprise of implementing more efficient, effective, higher-yield learning environments: we will miss targeting learning efforts on what experts actually decide and do (vs. what they merely say they decide and do); we will continue to include inefficient methods for learning that cause many to fail unnecessarily; we will use technology in more arbitrary rather than targeted ways (which, in failing to produce intended outcomes while being “cool”, will cause investment to continue to cycle from boom to bust); we will not generate valid and reliable evidence that we could use to target interventions early and effectively (and, indeed, we may drown in bad data that “we should be using”). We can do better than this. We can begin to train more people on learning engineering fundamentals, to improve their own decision-making as teachers, teacher-trainers (teachers have minds too, so this is its own learning engineering challenge), purchasing decision-makers, publishers, ed-tech developers, venture and other funders, philanthropists, policy-makers and more. We can begin laying out more clearly, “what would learning environments look like if they had been well-designed as learning engineered environments,” and hold folks increasingly accountable to reach that standard. We can become more alert to the quality and use of data about learning and learning interventions, so that we are aware of what evidence is “good enough” to make real decisions about learning environments, either at scale, or for individual students. At the end of this new day, millions more learners will discover, at all ages, there are highly effective routes to achieve mastery of valuable skills in areas they are passionate about. It will be clear that there is real work involved in getting there, but the paths, sometimes over many years, will be highly likely to lead to the goals they really desire, giving them fuel for the journey ahead. We can adapt and benefit, generation by generation, from the rapid changes around us, rather than being left behind.